Sheikh Nahayan Mabarak Al-Nahayan’s life and career have been characterized by creativity, innovation, and dedicated public service. His dynamic leadership as a cabinet Minister and Academic Administrator has guided and shaped higher education in the United Arab Emirates and has established a successful model for higher education throughout the Gulf region. In private business, he is a highly successful entrepreneur, banker, venture capitalist, and investor. A noted patron of the arts, Sheikh Nahayan strongly supports a wide range of activities, from natural history to music and culture, from national heritage to sports. He is a strong proponent of advanced technology and global best practices in education and business. An active philanthropist with a high sense of social responsibility, he champions many humanitarian causes and provides strong support for individuals with disabilities. Sheikh Nahayan’s public responsibilities and greatest contributions are in the field of higher education. He is a leader who thoroughly understands the importance of education to the development of society. Sheikh Nahayan further believes that education is one of the most effective ways to address the root causes that fuel hatred and mistrust around the world. The colleges and universities of the UAE, under his leadership, are very active in promoting cultural flow and exchange between the Arab region and the rest of the world. Moreover, he has played a major role in policy formulation related to the economic and social development of the United Arab Emirates. One particular issue that has been of great importance to Sheikh Nahayan over the years is that of women’s education and the promotion of women’s rights. In his private life, Sheikh Nahayan is an active, successful businessman, both within the United Arab Emirates and on the international stage. He is living proof that there is no basic divergence – no discontinuity – between society’s economic goals on the one hand, and its social and humanitarian goals on the other. 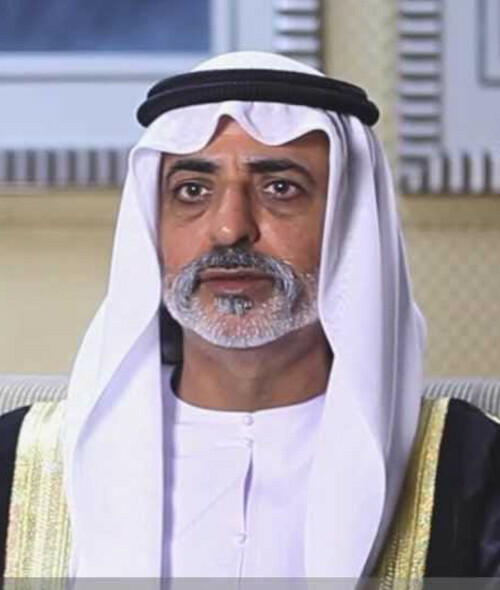 In business, Sheikh Nahayan is a great believer in the social responsibility of private business, where ethics, morality, and transparency are important and where the operations, practices, and attitudes of private companies must have relevance to contemporary community values and needs. A remarkable combination of intellectual strength and decisive leadership skills, Sheikh Nahayan is visionary, action-oriented and at the same time, a strong advocate for education and social development. "